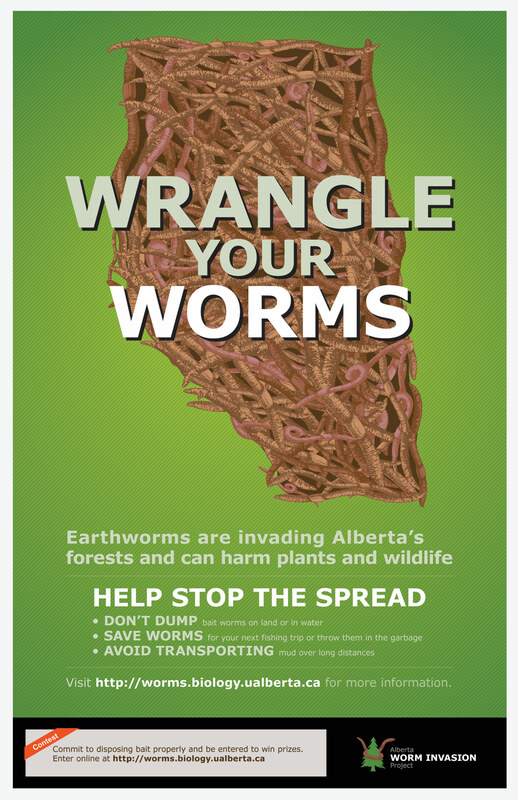 This study examined earthworm occurrence in relation to road age at 98 roads in northern Alberta. Earthworms were more likely to be found at older roads and to have spread farther from the road at those locations. This may be related to the fact that older roads are typically subject to higher cumulative levels of human disturbance than younger roads. 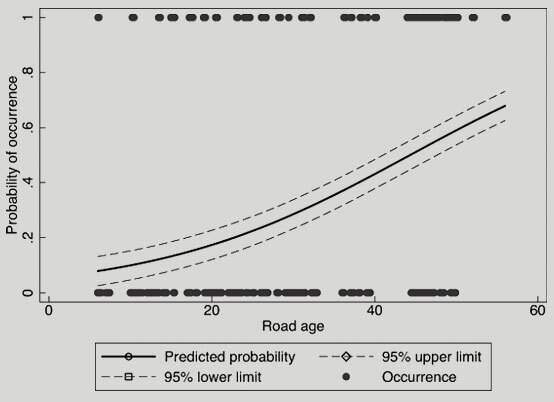 Predicted probability of earthworm occurrence (solid line) in relation to road age in years. Black dots represent actual earthworm presences and absences. We used our results to create a model of earthworm spread in relation to road development. 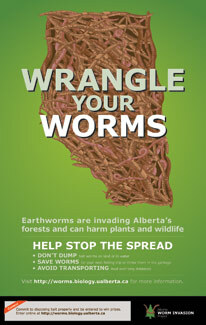 Our model indicated that approximately 9% of northeastern Alberta is likely currently invaded by earthworms. However, in the next 50 years, 49% of this region is predicted to be invaded as development intensifies. Predicted future extent of earthworm occurrence in northeastern Alberta (Al-Pac FMA) in 50 years. Areas invaded by earthworms are indicated in black and the Al-Pac FMA is shown in white. Download PDF of full report.